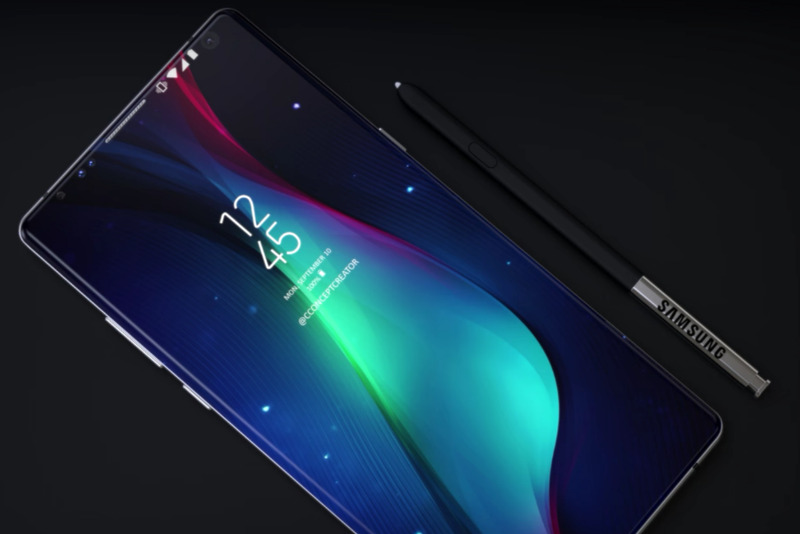 Samsung Galaxy Note 9 specs and renders are out! The phablet is arriving earlier than anticipation which is touted to be a 6GB monster with 4000mAh battery! Samsung is a prolific name in the smartphone industry, especially for its high-quality models. The track record of the Korean giant for the production of flagship smartphones just keeps on getting better and 2018 is no different. The Galaxy Note series is the front-runner of the company’s market hold. And the Galaxy Note 9 well may be on the track soon. This explains why we are coming across such a large influx of leaks relating to upcoming Samsung smartphones. Such is the case with the upcoming Samsung Galaxy Note 9. The work on the release of the flagship Galaxy S9 and S9+ done and dusted. Samsung is now turning to its corresponding Note series and details of the Samsung Galaxy Note 9 are out. Though there is confirmation whether Samsung was working on this new phone or not. Meanwhile, no official information has surfaced from the South Korean hotshot. But its recently now that Samsung has not only confirmed the exact name of the phone, but some specs are doing the rounds in the media. DISPLAY: It is most likely to sport a 6.3-inch display continuing the phablet trend. The infinity display is amidst expectation to be slimmer bezels than before. MEMORY: The new Note 9 will support 6GB RAM and 256GB internal storage. CHIPSET: Qualcomm Snapdragon 845 SoC, obviously, will be the engine under the hood; However chances of in-house Exynos 9810 CPU may find a place post initial production. BATTERY: The battery is likely to be of 4000mAh or lower, considering that Samsung is still a little wary of the battery, particularly after the Note 7 fiasco. OPERATING SYSTEM: Android Oreo 8.1 pre-loaded on the phone. OPTICS: Samsung may experiment with the dual-aperture, single lens camera making a debut and it may set a trend in the industry. The likely launch will happen in August and though there is no information on the price, speculators believe it could be between $900 and $1000.